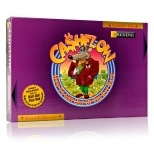 Regular visitors to this blog will have read me before on the topic of how important a role Rich Dad’s Cashflow 101 game has played in my financial life and my understanding of money and how it works. One of my colleagues, Niki Duffy, with whom I have played Cashflow forever, is opening her own club in South East London and offering six Saturday mornings to a group of money-minded individuals for only £97. This is a STONKING bargain and if I were you, I’d bite her hand off. Niki’s Saturday morning group will run between May and October 2013 and she’s hand-picking her six. Niki is gentle and kind and supportive and brings her personality and her coaching skills and her experience of this game, both as player and facilitator, to this new group. You really couldn’t be in better hands. Please can I ask a favour? Please will you do everything you can to help Niki find her perfect six, either by joining yourself or forwarding this link to someone you know who lives in London and is in need of a financial pick-me-up? Cashflow 101 is life-changing and this group deserves to manifest six perfect players who form a little mastermind and support team. A lovely social morning out with learning and new connections – in every way. Wishing you a magical journey with Niki and Cashflow 101. Read more from Niki about her offering and book here.